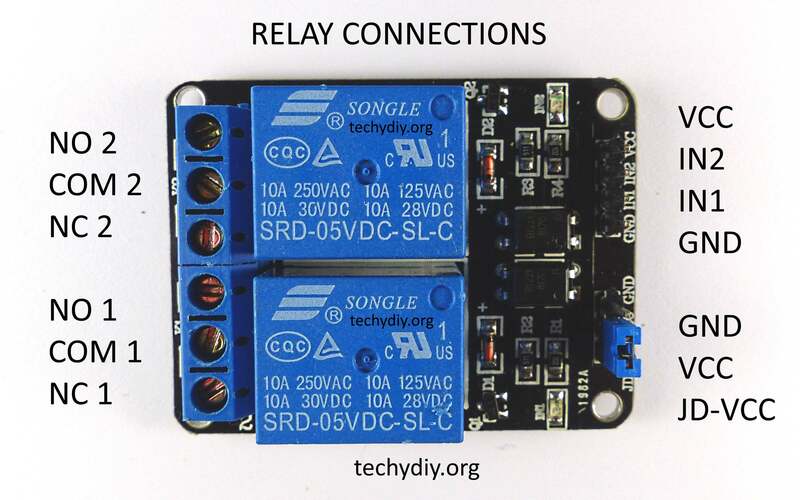 This is a dual relay module using the usual Songle SRD-05VDC-SL-C relays . Although this would be less for inductive loads. The module is an active low device, which means that the input must be low to switch the relay on. The module also contains 817c optocouplers and the input circuit can be isolated from the relay circuit by removing the JD-VCC jumper and providing a separate power supply for the relay. 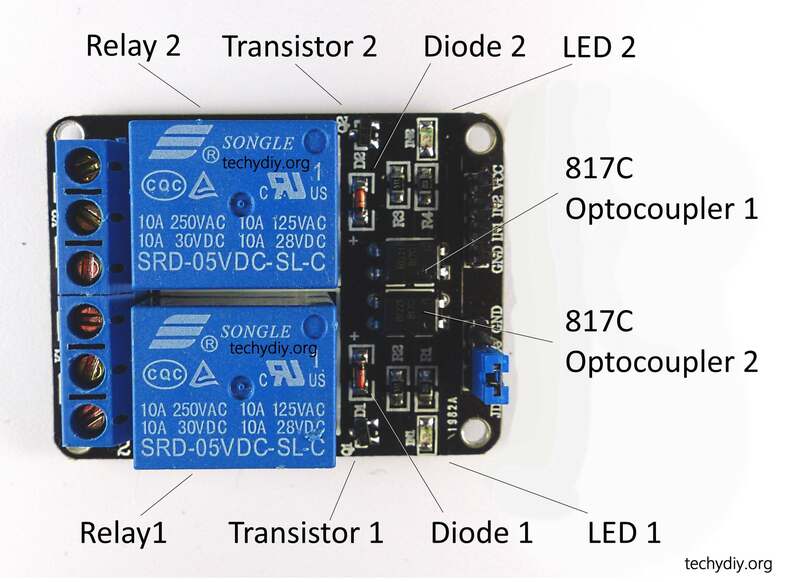 The following circuit diagram shows the relay module with the input isolated from the relay. The following photo shows the Arduino Uno running the sketch listed above with the relay wired to two led strips and a 12v battery .